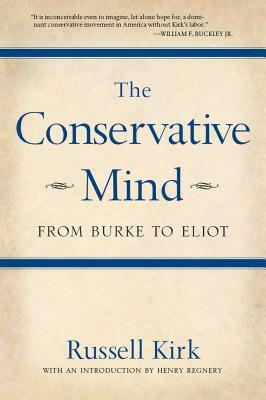 Russell Kirk's The Conservative Mind is one of the greatest contributions to twentieth-century American conservatism. Brilliant in every respect, from its conception to its choice of significant figures representing the history of intellectual conservatism, The Conservative Mind launched the modern American Conservative Movement when it was first published in 1953 and has become an enduring classic of political thought. The seventh revised edition features the complete text and an introduction by publisher Henry Regnery. Russell Kirk (1918-1994), historian of ideas, critic, essayist, editor and novelist, was the author of thirty-two books. Among them are The Roots of American Order, America's British Culture, The Politic of Prudence, Eliot and His Age, Enemies of the Permanent Things, Edmund Burke, Redeeming the Time, John Randolph of Roanoke, and six works of fiction. His memoirs, The Sword of Imagination, were published posthumously. He received twelve honorary doctorates from American universities and many awards, including the Presidential Citizens Medal. The Russell Kirk Center for Cultural Renewal, founded in 1995 and based in Mecosta, Michigan, continues his work to defend "the permanent things" today.